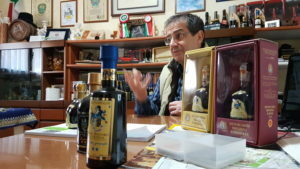 A sensory stroll into the world of balsamic vinegar with who I can tell and bring to life directly in vinegar factory! To family! 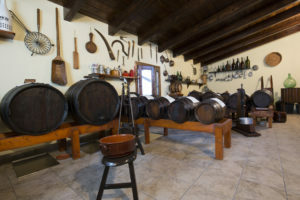 Guided tour to discover the secrets of balsamic vinegar and balsamic vinegars and condiments different tasting, the basics on grapes, the wort boiling, the stages of fermentations, a visit to the family and aging balsamic vinegar works in “vessels” wooden carved. 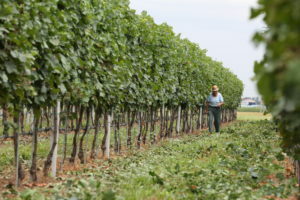 The possibility of tasting the different types of balsamic vinegar Acetaia to understand and enjoy the varied quality of aged balsamic vinegar, with guided tasting or a simple walk between the rows of vines. Welcome! Welcome! 欢迎 ! ようこそ ! добро пожаловать! Bienvenidos! Willkommen! Bienvenue! School groups are welcome, groups and groups, from Italy and abroad, But even a good company who decided to spend a few hours several exploring an unknown planet! Languages spoken, In addition to the Italian, English, French, German and Spanish, for other contact us. Reservation requests 7 g/0.25 oz, duration 90 – 120 minutes. Book by filling out the form indicating the number of people, the date and time of arrival, and any foreign language. Subscribe to Newsletter balsamic vinegar! I read the provisions on data protection (Art. 13 D. LGs. 196/2003) and I declare my consent. The museums of automotive companies Ferrari, Maserati and Lamborghini to the different museums of the territory, then the monuments, the Formigine Castle or the Ducal Palace of Sassuolo, theAcademy of Modena or the Modena Cathedral already a Unesco World Heritage site. We will be delighted to welcome you for a visit and to place at your disposal all our support to better organize your stay. 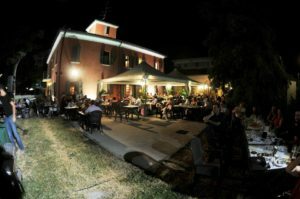 Your stay on tourist territory, restaurants with sample menu based on traditional balsamic vinegar of Modena and, If necessary, an overnight stay. The visit is free but we can arrange for you a aperitif or a aperitif, a platter of local produce or simply enjoy a glass of water! Better if lambrusco! If you'll be happy you can dine at the family restaurant between traditional dishes that have marked our history and our culture, the Restaurant 80° Mile is at your disposal for a candlelight dinner or for a group seeking the flavors autochtones. 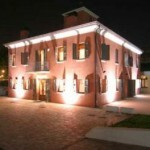 For an overnight stay in Modena you can stay at reliable friendly farmhouses, merchants, with possibility to choose between a Hotel 5 stars or a bed and breakfast or, If you prefer, at the vinegar factory itself.